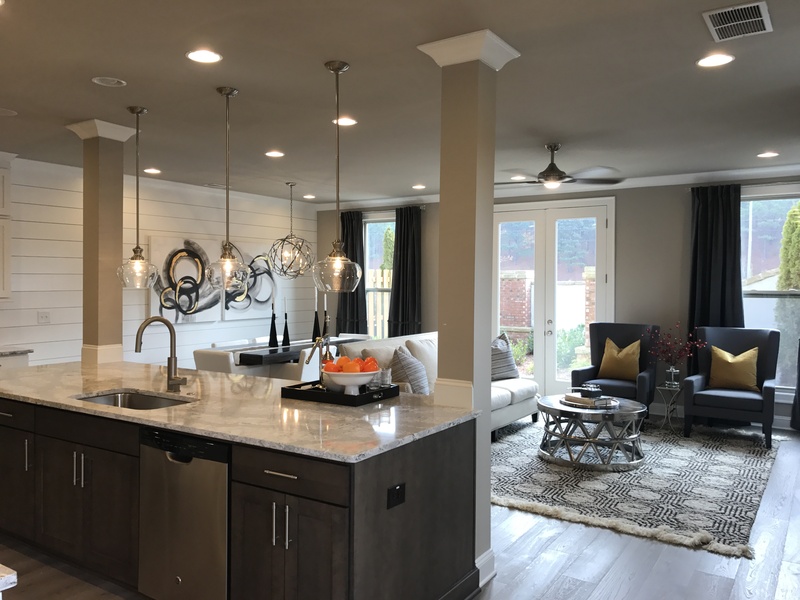 The Providence Group of Georgia, LLC, a Green Brick Partner, is excited to announce the newly decorated Braxton model home is now open at its Duluth townhome community. Residents of The Glens at Sugarloaf enjoy low-maintenance living with popular conveniences nearby. The Providence Group of Georgia, LLC, a Green Brick Partner, is excited to announce the newly decorated Braxton model home is now open at its Duluth townhome community. Priced from the $320,000s, the gated townhomes at The Glens at Sugarloaf offer low-maintenance luxury in a prime location. Located at Homesite 61, the two-story model townhome features the Braxton II home design with four bedrooms, three-and-a-half baths and a two-car garage. This plan features a spacious, main-level gourmet kitchen with oversized island overlooking the fireside family and dining rooms. With two options for upper-floor living, this home design offers functional opportunities for every family. In each home design layout, the owner’s suite boasts an impressive walk-in closet and spa-like bath with dual vanities and several design selections that include a walk-in shower and garden or freestanding tub. Featured as a two-story design, the Braxton II also offers an optional third-level retreat with bonus/media room, additional storage space and full bath. Centrally located at Sugarloaf Parkway and Peachtree Industrial in Duluth, residents of The Glens at Sugarloaf enjoy low-maintenance living with HOA-maintained lawn care and landscaping, as well as convenience to nearby Sprouts Farmers Market and Sugarloaf Market. Access to I-85 and I-285 are also just a short drive away for additional shopping, dining and entertainment options. Children living at The Glens at Sugarloaf attend schools with the popular Peachtree Ridge High School District. Visit the Braxton II model townhome, located at 3780 Glenview Club Lane in Duluth and open daily. To learn more about this showcase design, visit TheProvidenceGroup.com/the-glens-at-sugarloaf/plan/the-braxton-ii or call 470-214-7797 to schedule a tour. For additional information regarding opportunities and savings at The Glens at Sugarloaf, visit http://www.TheProvidenceGroup.com/the-glens-at-sugarloaf.